01-15-2012 omegamustard Box Text It's a redneck family fight to see who inherits the family trucking business. 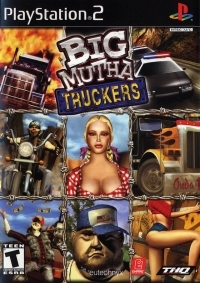 As one of four zany characters in Big Mutha Truckers including Bobbie-Sue, Cletus, Earl, and Rawkus, you have 60 days to earn the most money by hauling cargo. 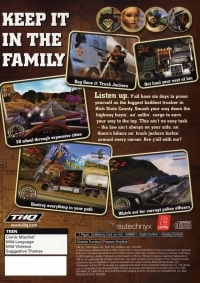 Drive various massive 18-wheelers around five cities as you battle bikers, avoid truck-jackers, outrun the corrupt police force, and discover new routes and bonuses. The race to the finish is full of obstacles--don't let anything get in your way. This is a list of VGCollect users who have Big Mutha Truckers in their Collection. This is a list of VGCollect users who have Big Mutha Truckers in their Sell List. This is a list of VGCollect users who have Big Mutha Truckers in their Wish List.